I read this article and found it very interesting, thought it might be something for you. The article is called Bitesize: Jules Mak at Zozimus and is located at https://www.totallydublin.ie/food-drink/food-drink-features/bitesize-jules-mak-at-zozimus/. Chef Jules Mak and Zozimus owner Derry Desmond recently added a culinary aspect to their friendship, teaming a selection of classic dishes from Mak at D6 with cocktails at Zozimus. The innovative offering is firmly focused on new flavour combinations with a modern twist, as evidenced by a great value brunch offering. 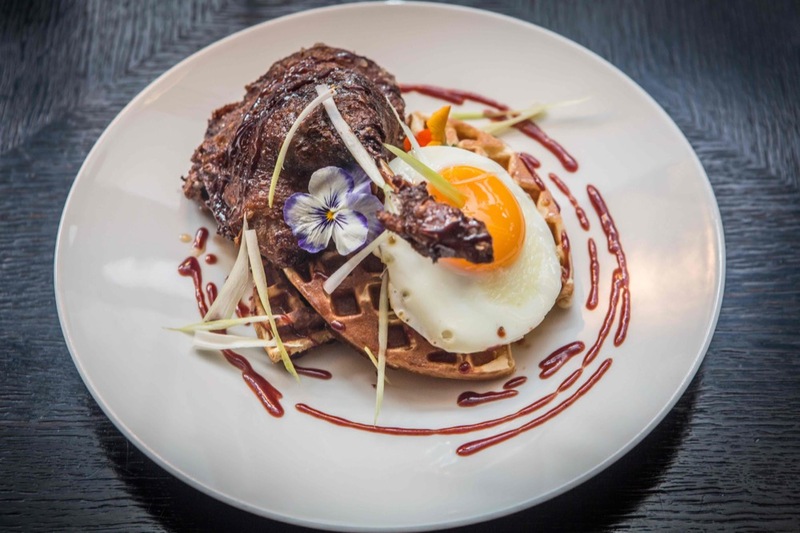 The menu features an impressive selection of dumplings, bites and mains, while their take on ‘Duck and Waffles’ has us drooling; crispy aromatic duck served on waffles, topped with a fried egg, accompanied by a hoi sin maple syrup. Brunch 12pm-4pm Saturday and Sunday. Dinner each evening from 5pm.